Batman v Superman: Dawn of Justice introduced the found members of the DC Extended Universe’s Justice League, but it won’t be until November of 2017 until they officially join forces in Justice League: Part One. 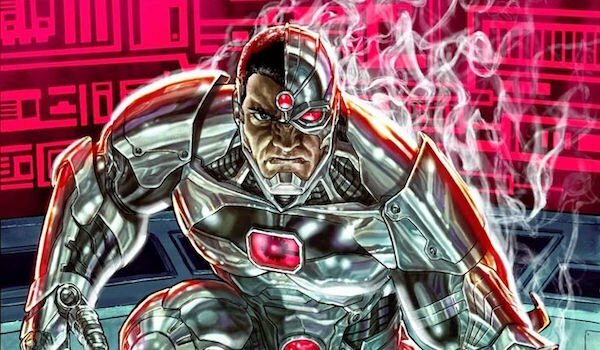 Following that, they’ll reunite for 2019’s Justice League: Part Two, but now there’s word that fans might get a mini-reunion in 2018 with Cyborg possibly stopping by The Flash. …When we get to the Flash movie, Ezra Miller and Ray Fisher — who plays Cyborg — are kind of our youngest characters, and they have a really nice comradery with each other. Ezra is super funny, so the tone of that film will be very different than the rest of them. Given how busy Justice League: Part One is expected to be, there may not be enough time to establish a close rapport between all the protagonists. So to have Cyborg appear in The Flash would be a good way to build on their friendship before they fight with their fellow heroes again in Justice League: Part Two. It also opens the door for further interactions between these characters outside of the ensemble movies. It was rumored last year that Batman might cameo in Wonder Woman, and maybe other Justice Leaguers could drop by their teammates’ respective adventures. Wonder Woman showing up in Aquaman, Superman cameoing in Green Lantern Corps, etc. The Flash/Cyborg pairing is similar to how the Marvel Cinematic Universe is bringing Hulk and Thor together for Thor: Ragnarok. Interestingly enough, in the New 52 universe, Cyborg has the close friendship with Shazam on the Justice League, and the World’s Mightiest Mortal is getting his own movie in 2019. Still, if Shazam gets to join the League later on, maybe that friendship can also form on the big screen. Whether it’s Flash or Shazam, Cyborg needs someone to eat pizza and play video games with off-duty. However, just because Cyborg might appear in The Flash doesn’t necessarily mean he’ll have a major role. After all, the focus is on the Scarlet Speedster, so his rapid antics takes precedence over spotlight Cyborg, who’s leading his own adventure two years later. If it’s like the comics, maybe Barry will visit Victor at the Justice League Watchtower or another location to get some intel. After all, who better to seek for informational help in the 21st century than the hero who can communicate with all forms of technology. At most, maybe we’ll see the two of them battle a threat together near the beginning of the movie before going their separate ways. The Flash races into theaters on March 16, 2018, while Cyborg’s own movie will arrive on April 3, 2020.